We’ve been somewhat absent at A Bad Homance for the last couple of weeks; Kristin is moving and I have been sick! I’m on the mend and wanted to share today’s look as I get back in the swing of things over here. 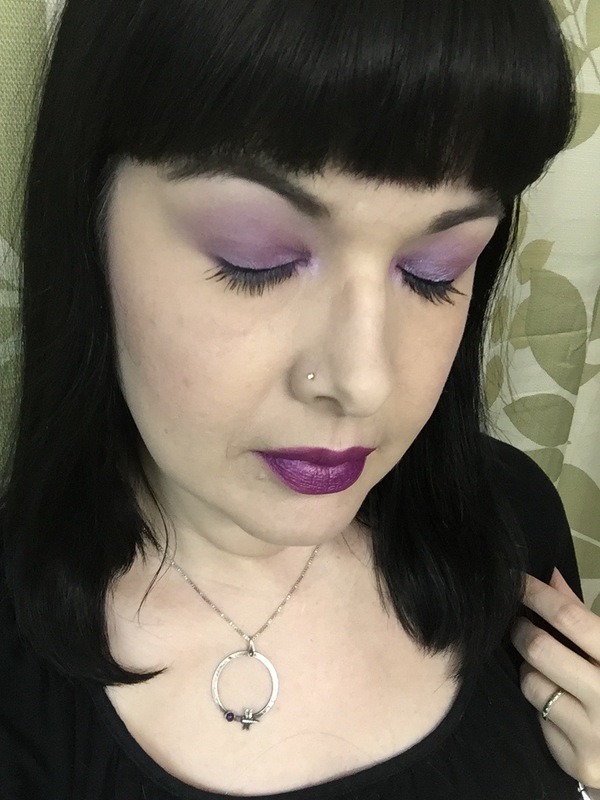 Today’s look is very Urban Decay heavy, as I’m really feeling this brand lately! FACE: For the face, I’m still mixing MAC Studio Fix Fluid in NW10 with NYX Foundation Mixer in White. At some point, I’m gonna find that holy grail foundation, but I haven’t yet. 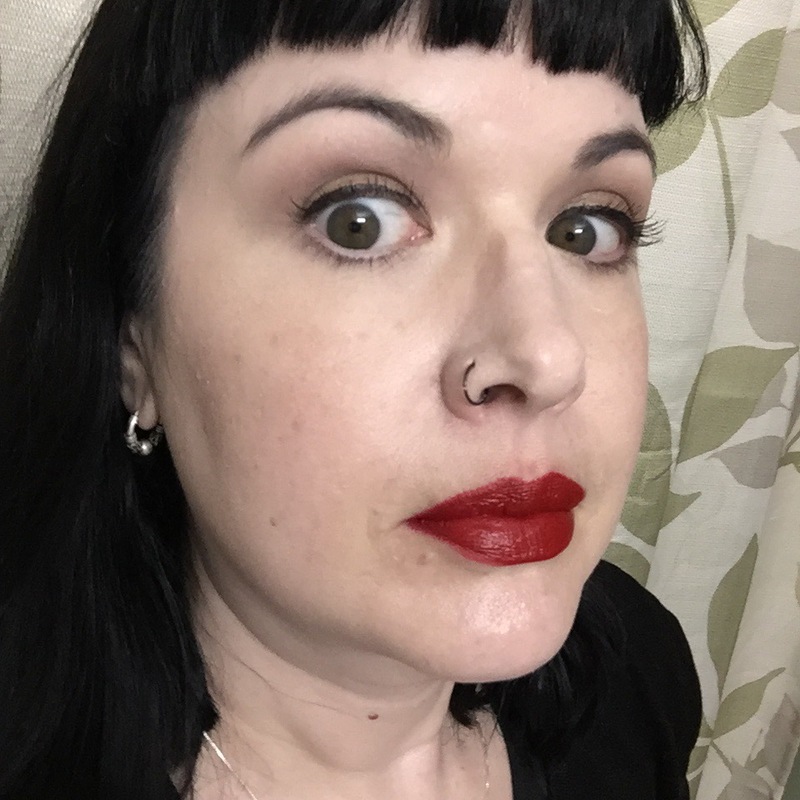 I used NARS Radiant Creamy Concealer in Chantilly under the eyes and around the nose and topped off the face with Guerlain Meteorites in Clair so the complexion wouldn’t be too flat. 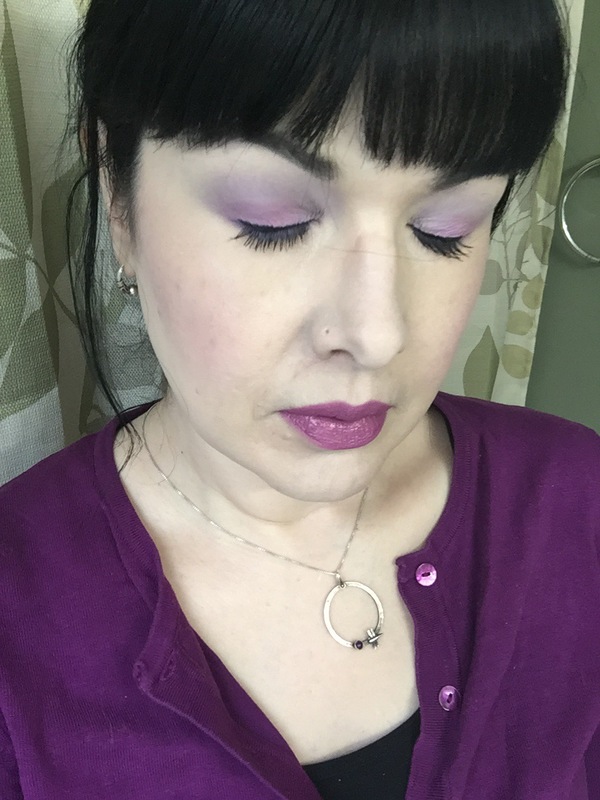 Now the UD comes in – Bittersweet blush is a beautiful purple with fuscia undertones that can be sheered out to where even I can wear it! I topped the cheeks with Urban Decay Aura highlighter, a frosty pink that gives a very impressive glow. I also used this on the bridge of the nose and the Cupid’s bow. Too bad my camera never picks up on that! 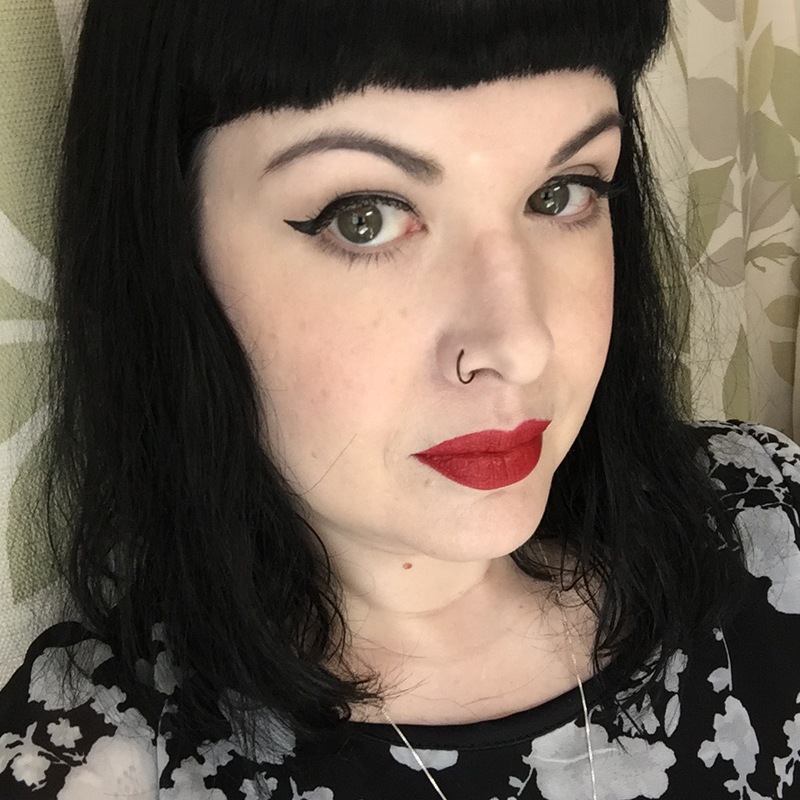 I used Too Faced Shadow Insurance, which I had forgotten how much I love! I used MAC Vanilla eyeshadow as my highlight as per usual (only for the last 15 years) and the rest of the shades are from Urban Decay! 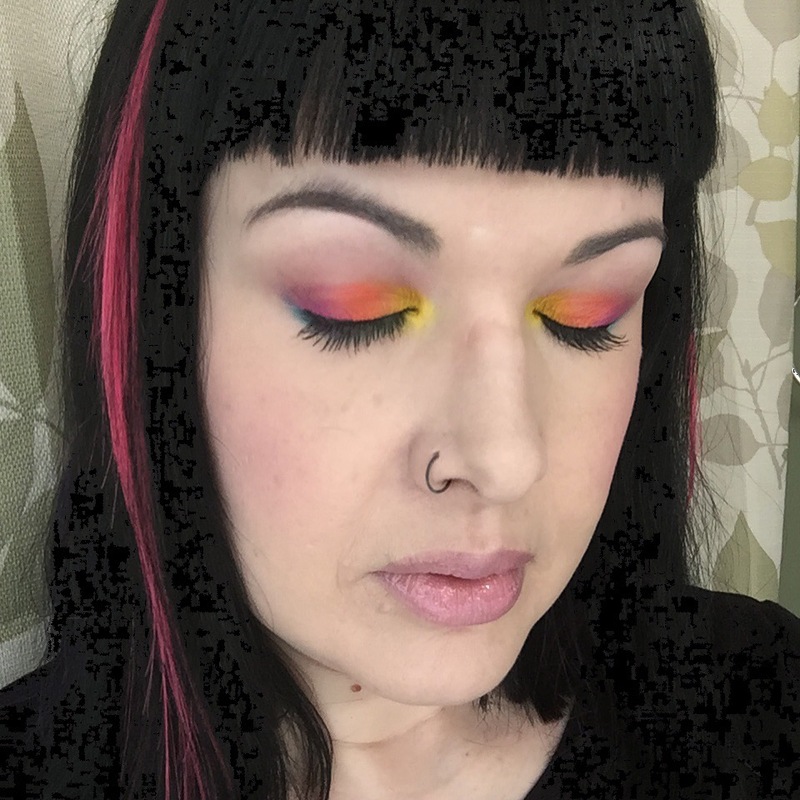 From the Spectrum palette, I used Flashback and Omen shadows and brought in the Tonic eyeshadow single to add even more of a duochrome edge to the look. I topped this off with Physicians Formula Eye Booster Pen liquid liner and Covergirl Clump Crusher mascara in the black water resistant version. 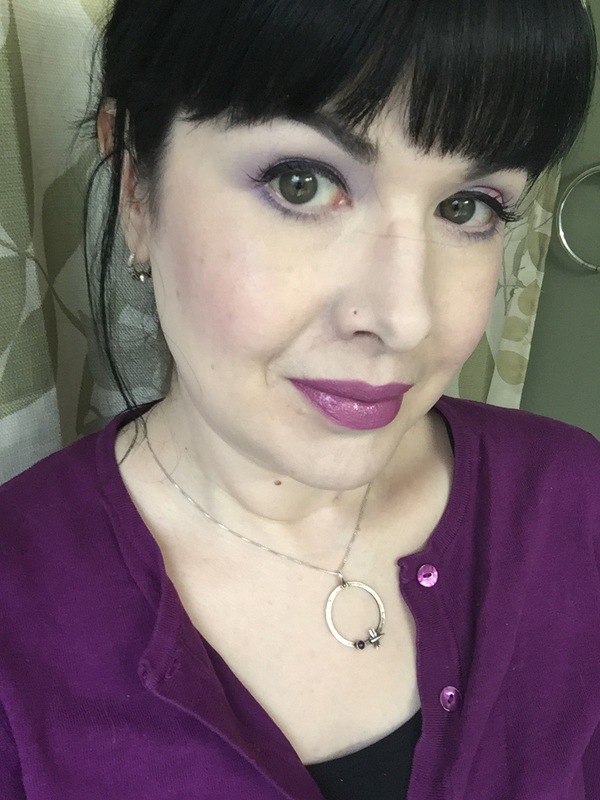 To line the lips, I used NYX Purple Rain, though I’m looking forward to seeing the purple liners UD is coming out with. 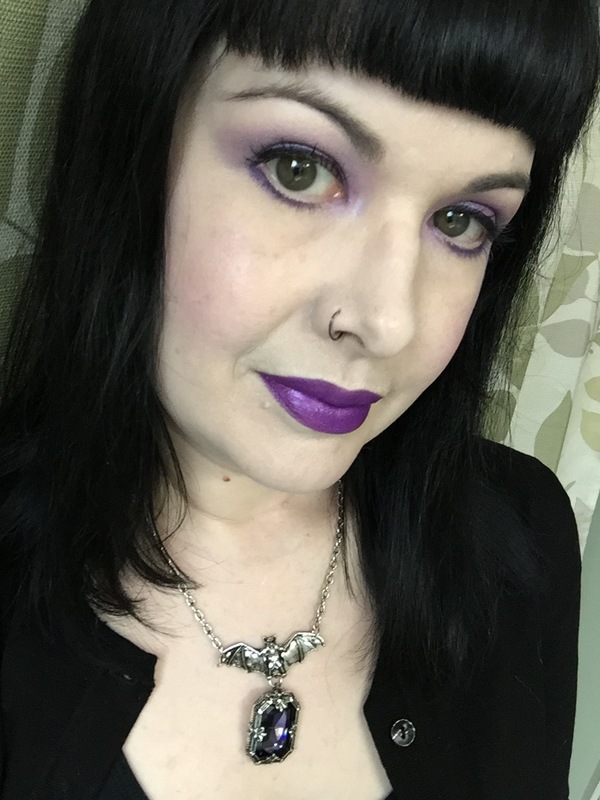 I used the UD Alice Through The Looking Glass collection lipstick in Mad Hatter for that perfect metallic purple lip. I recommend grabbing this one, since it will not be available in the Vice line and it’s limited edition – this lipstick is badass! Don’t forget, the Vice lipsticks launch June 5! What’s your favorite product from Urban Decay? I think mine will always be the eyeshadows. 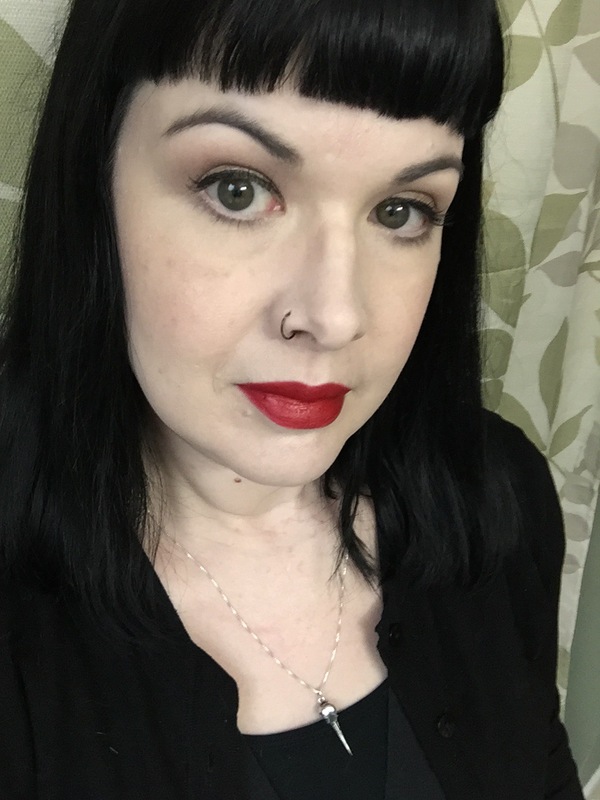 With my last Sephora order, something unexpected happened – I actually received a foundation sample that was (gasp) pale enough to work for me! That product was Josie Maran Vibrancy Argan Oil Foundation Fluid ($45). The sample card had many shades to try, so if you get a chance to grab one of these, you may want to do so! A revolutionary medium-to-full coverage skin care foundation fluid powered by 100 percent pure argan oil and nutrient-rich pigments for vibrant, glowing skin. Activate your skin’s vitality with Vibrancy Argan Oil Foundation Fluid. Like a fresh squeezed juice, Vibrancy utilizes a revolutionary cold-pressed process that preserves the powerful, hand-selected ingredients for the freshest, most effective skin care foundation. Vibrancy energizes your skin with the essential nutrients it craves and is designed to interact and adapt to the movements of your skin with delicate fluidity for a radiant, dimensional finish. The breathable, lightweight, medium-to-full coverage formula features a powerful blend of moisture-enhancing ingredients that help soothe, smooth, and restore skin’s luminosity. This product is dermatologist tested and clinically proven to hydrate and smooth even the most sensitive skin. Find your ideal shade with confidence. First identify your undertones: R is for rosey undertones, G is for golden undertones, and RG is for neutral or rose gold undertones. Next, you’ll choose the depth of your shade, with 5 being the most fair and 85 being the most rich. When first applying this to my skin, I loved the light neutral shade of RG5; however as I was applying this to my face and blending in with my fingers I noticed two odd things: It felt somehow very heavy, but did not provide full coverage. I definitely had to go in with concealer around my nose and on my acne scars, but I do with most foundations. I would call this medium coverage at best. This foundation feels very oily, which I suppose makes sense since is is an argan oil foundation. However, it really doesn’t seem to say anywhere in the description that is is for extremely dry skin, which is the only type skin I could really see benefiting from this type of texture. It is extremely dewy, almost moreso than MAC Face and Body foundation, but feels more heavy than that and has more coverage. I set it here with MAC Invisible Set Powder for a little mattifying and in hopes that it would keep it on my face! And then…OH NO! Complete and utter meltdown in only FOUR HOURS. Now, I have somewhat combo skin, but it’s combination leaning on the drier side, so this just floored me! Look at the breakdown around the nose where my glasses were. The coverage around my nose and mouth is basically gone and my redness is showing. My chin is a greasy, hot mess! OH. Oh hell no. I feel like this foundation could really only work for someone with super dry and dehydrated skin, especially in colder or dry climates. However, there is nothing in the description that says that this is for very dry skin. It does mention increased hydration, but that’s it, really. I feel like a better description of what type of skin this is for would be beneficial in helping customers chose. I also feel that calling this full coverage is really stretching. All in all, I’ll not be shelling out $45 on this, especially knowing a humid and hot NC summer is around the corner! Have you tried any new foundations lately? What did you think? 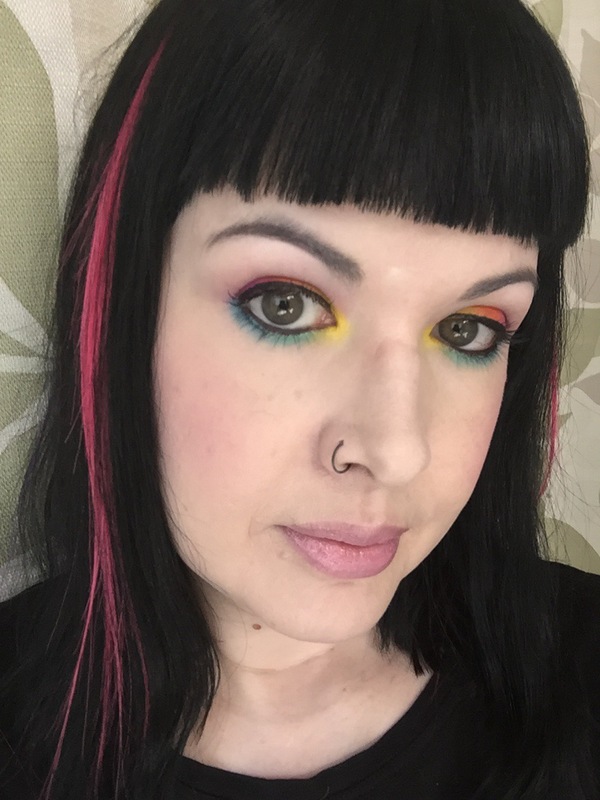 What I Wore – Duran Duran! This past weekend I saw my teen dream boys in concert, Duran Duran! Who am I kidding; I’m about to turn 45 and Duran Duran are still my dream boys! It was a beautiful spring evening and the show was outdoors, and though I was a bit chilly, I stayed warm by dancing! MAC Russian Red, you never fail! 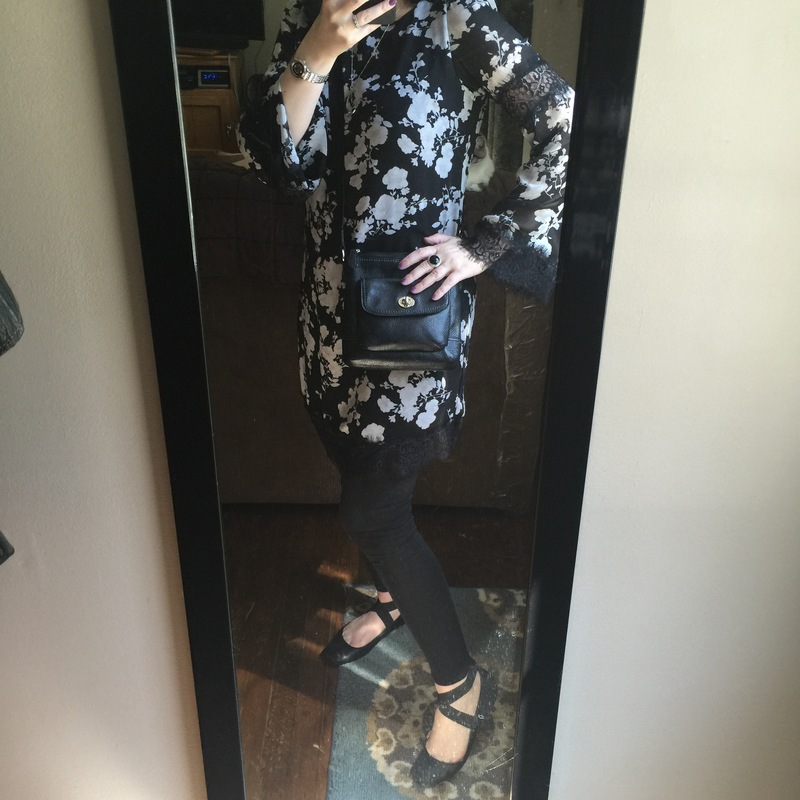 Ballet flats and leggings are great concert wear – so comfy! A crossbody bag that is small and won’t get lost is also perfect for shows! CHIC with Nile Rodgers opened the show and did some of their biggest hits like “I’m Coming Out” and “Freak Out” and got the audience warmed up – then Duran Duran performed a nice long show of old and new tracks, opening with “Paper Gods” and later dueting with Nile Rodgers on “Notorious.” They did a little tribute to their friend David Bowie, too. Aw. I got to hear favorites like “Planet Earth,” “Girls On Film,” and “Sunrise.” All in all, it was a great evening! Do you ever go to concerts or festivals? What do you like to wear? So, what do you do when you want to buy a ton of Sugarpill shadows that are all sold out and really expensive anyway? You search for alternatives! A little sleuthing led me to the brand Sleek’s very affordable eyeshadow palettes, which are available in the UK, but us US folks can get them on Amazon (with a hell of a long wait)! I believe I paid around $12 USD for the V1 Matte Brights palette. I think it also took around 3 weeks to get here – WORTH IT. I used this wonderful tutorial I found online (I did indeed use the NYX Milk pencil as a base as well). …and a new one hits my inbox every few minutes! Now…why didn’t I hit any of these sales? Because I DON’T NEED ANYTHING. I really don’t, y’all. I got 2 palettes for Christmas and replaced most of my daily staples in the late winter. I don’t need anything and I’m doing better about not shopping just because something’s on sale. HOWEVA. There may be something you need or are ready to make the splurge on. The best place to read about the sales is <a href=”http://nouveaucheap.blogspot.com/?m=1″>Nouveau Cheap</a>, so head on over there if you feel like reading about all these spring sales! I love that blog! I had a great doctor’s appointment today (super productive!) and it’s finally NOT FREEZING around here and looking like spring again! 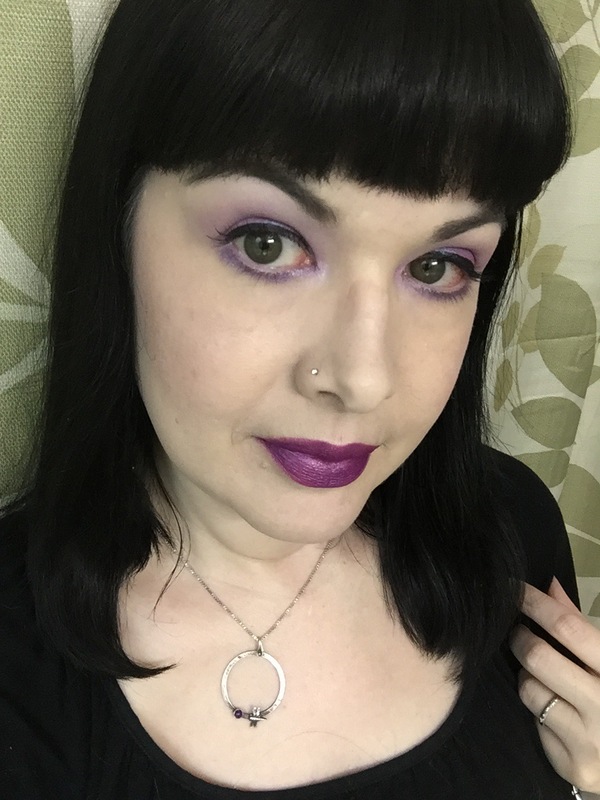 I decided to do some fun makeup in my favorite color – purple!